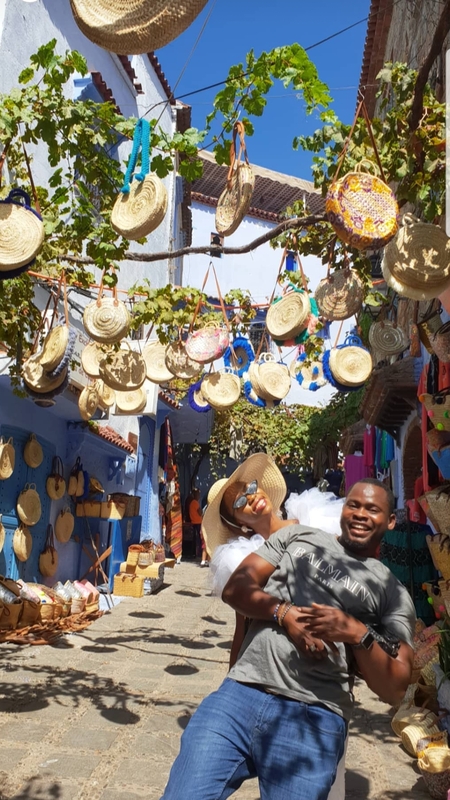 We recently returned to one of our favorite countries in the world, Morocco and I daresay that our time there was phenomenal. We would keep the experience to ourselves but in order not to seem selfish, we thought to share with those who forgot to sign up (lol) or those who just couldn’t make it. Before we dive in, we have some exciting news for you. By popular demand, we are now introducing monthly trips to morocco and they would be taking place on the 10th of every month. You know what that means-you get to see Morocco your way and in grand style. Yay! So now that we’ve got that out of the way, let’s proceed. 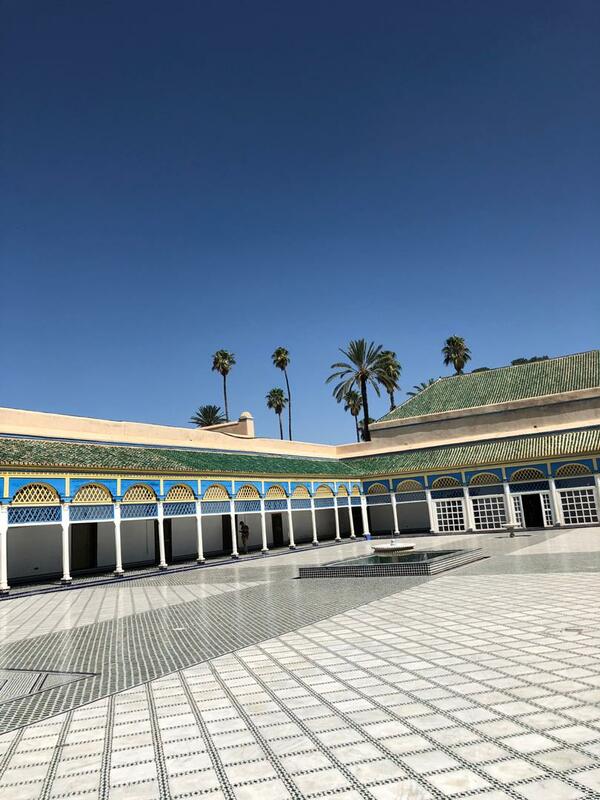 Our trip to Morocco lasted 6 days and 5 nights with us shuttling between the beautiful cities of Tangier and Marrakesh. Our accommodation was right across a beach and this made our frequent evening strolls blissful. There was also a string of restaurants which made food hopping easy. 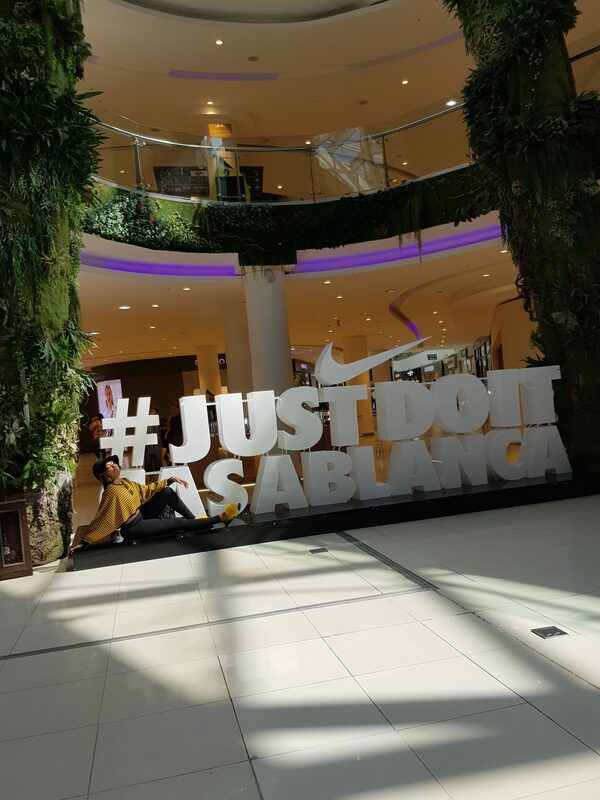 We visited the Morocco mall (one of our favourite malls) for its enchanting aquadrome in the centre of the mall, the recently added signage ‘just do it Casablanca’ which became a natural back drop and the unending shops disturbing our bank card. *sighs. 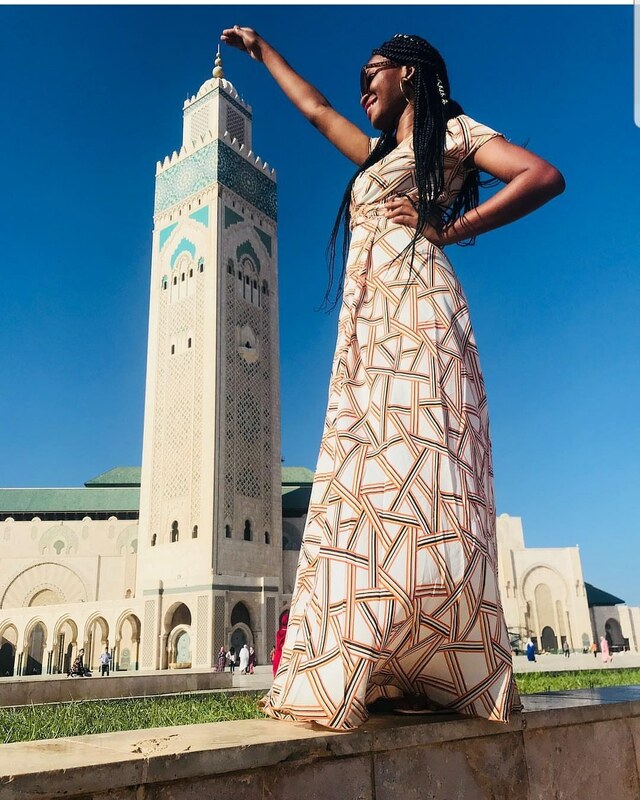 Next stop was the Hassan II mosque, the largest in Africa. I must say that after 3 different visits, I’m still in awe of the magnificence of this mosque. We embarked on a 5-hour road trip to Tangier afterwards. We made the beautiful apartment houses at Mnar Castle our home in the windy Tangier (which seats between Africa and Spain). 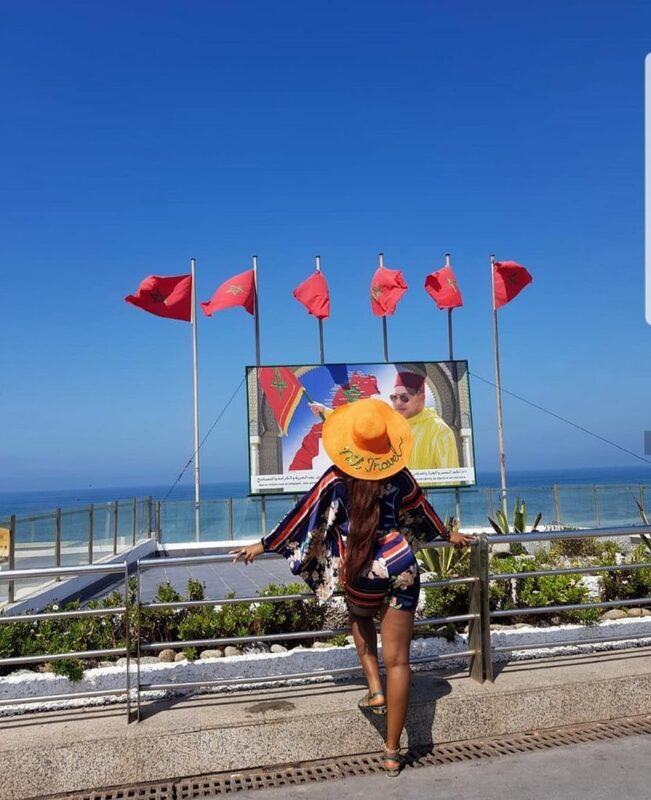 Some of our Snapchat location filters came up as Spain and we were convinced the air we were breathing was definitely the same as in Spain … Lol. Our awesome guide was kind enough to take us on our city tours and we learnt a whole lot. For instance, did you know that the Tangerine fruit was actually named after the Tangier city and the people of Tangier are actually called Tangerines? Bet you didn’t know that lol. We also visited the Grand Soco, The American Legation Museum, Cap Spartel, Cave of Hercules and did some Camel riding on the beach. Night life in Tangier was amazing-modern and fun (You can blame it on the Spanish influence). 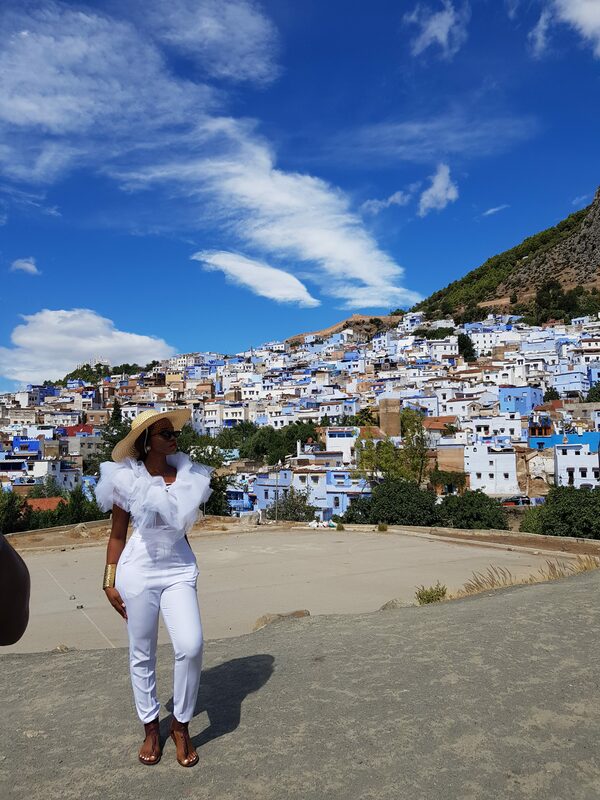 We took a day trip to the famous blue city, Chefchaouen. The honest truth is beside the blueness of the city, there isn’t much to explore here. However, if you love hiking, you’ll love this spot and of course, you’ll require some good hiking shoes (I’ll save the name of our group member who wore heels..lol). The reward of the little town is in the blue medina and the picturesque landscapes. 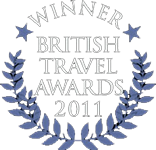 When we visited, we knew our all-time favourite city-Marrakesh, had clearly missed us very much. Despite planning for 6 hours, the trip here ended up taking nearly 9 hours due to the frequent stops for driver’s breaks. At this point, you should know that when planning a road trip within Morocco, merely depending on drivers or Google map calculations is just not enough. Thankfully, we’ve been around most parts of Morocco and can’t go wrong with distances anymore. Not to brag. 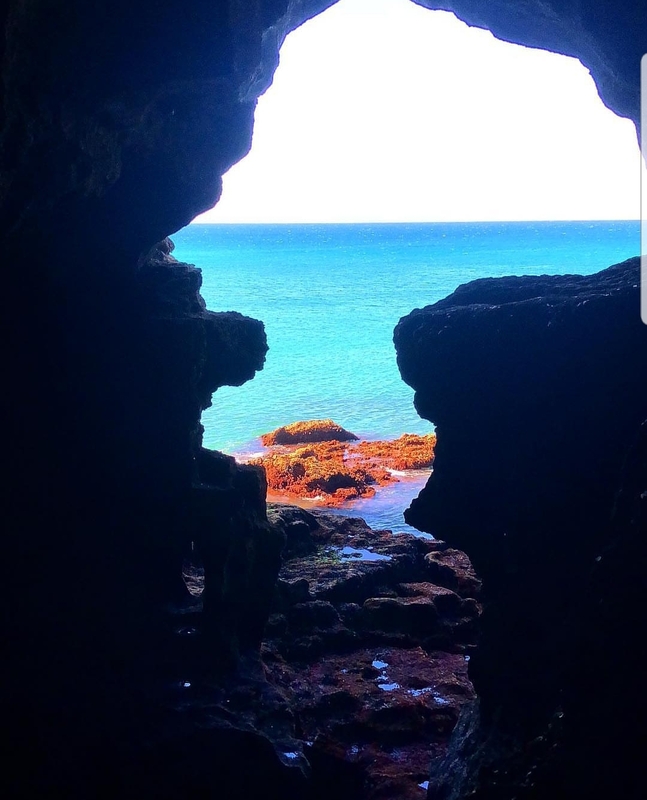 Our 6-day trip was short but we achieved as much as we could to, sure to explore the all-encompassing beauty of Morocco! We hope you’ll allow us curate something awesome for you soon to Morocco. 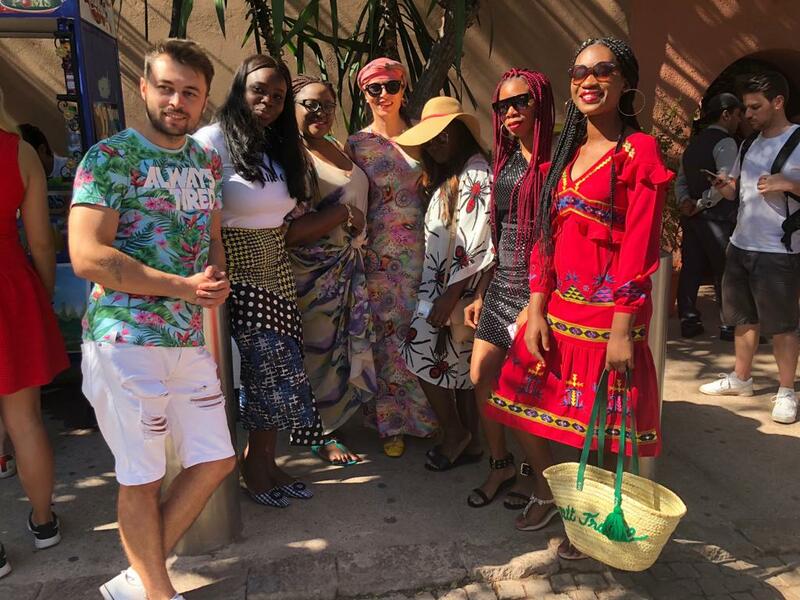 You can choose to join our monthly trips or allow us create a custom package just for you, destination parties, weddings, work retreats and more etc. HR Business Consultant by day, Travel Enthusiast by night and 24/7 Mum with an insatiable travel appetite! 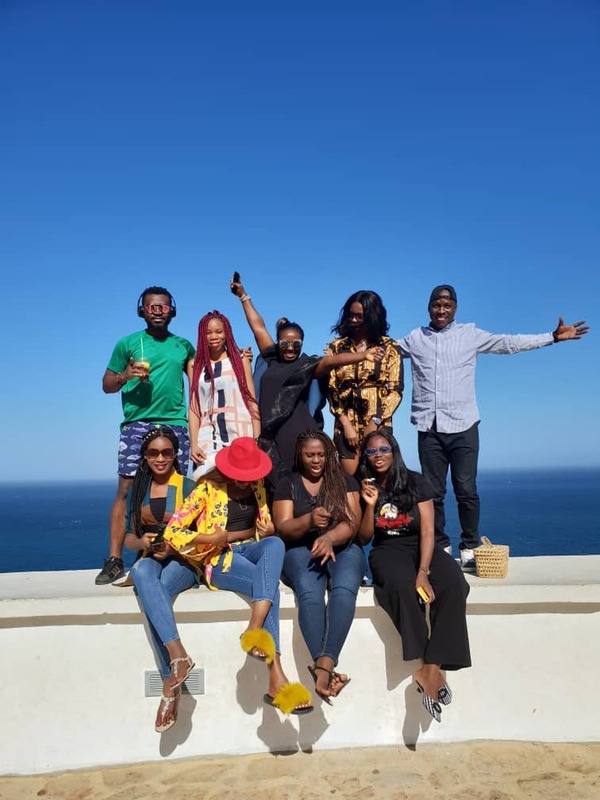 I am constantly looking for ways to inspire others to travel more and most importantly getting inspired by other Nigerians travelling.